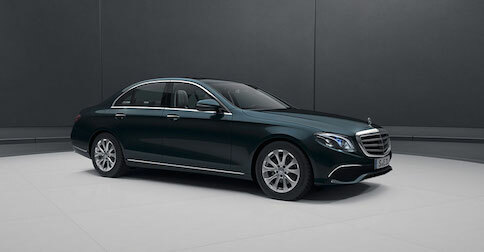 The E-Class has established itself as one of the most impressive luxury sedans. Just hearing the name evokes a level of reverence at our Mercedes-Benz dealer serving Orange County. It is one of the most popular models available in our showroom. 2017 marks the tenth generation of this elegant sedan, and it promises to once again change the way the class is perceived. It takes the timeless style that the E-Class is known for, and unleashes some of the most innovative technology that the industry has ever seen. There’s a lot to be excited about when this model roles into showrooms across the country. The German automaker is touting the 2017 Mercedes-Benz E-Class, which will make it’s way to our Orange County area dealership soon, as one of the most technologically advanced sedans of all time. A bold statement, but it will be the first series production vehicle in the world to be able to exchange information with other vehicles on the road, so they seem to be backing their claim. This will allow it to essentially “see” around corners and through obstacles to alert you to potentially dangerous situations. The DRIVER PILOT® system will help continue the brand’s leadership in the autonomous technology. This version will feature the first-ever Active Lane Change Assist, which can actually steer the vehicle during a lane change. Drivers will even enjoy the first-ever steering wheel touch control buttons, which will respond to touch and swipe gestures much like a smartphone or tablet. Just another way this sedan elevates your driving experience. Contact Walter's Mercedes-Benz of Riverside if you want to learn more about when this ground-breaking new Mercedes-Benz E-Class will be available. For more information, give us a call today at (888) 294-6772.